PORTOLA HILLS LIVING by Kelly Turbeville: 5 simple ideas for a laundry room makeover that might actually help you love doing laundry! 5 simple ideas for a laundry room makeover that might actually help you love doing laundry! Who likes to really do laundry? Do you think if your laundry room was beautifully designed, organized you would like the chore more? I don't know about you but one of my least favorite things to do is laundry and my laundry room shows that I don't have much love this chore. However, recently while I was previewing homes with a buyer, a wife commented she loved this one house, but wouldn't buy it cause the laundry room was awful. It didn't have anything to do with size, the style of washer and dryer it was all about the aesthetics. The next house we looked at was just the opposite, the house wasn't great but the Laundry Room was beautiful. Guess which house the buyer wanted to put an offer in on.. you got it #2. Why was the room so important... she felt it was a task she didn't really like, but she said she felt much more calm and about it when the room was beautiful. When I work with sellers, I will be honest as I preview the home to make suggestions on things we can do to add value, the laundry room is something I will bring up really only if it is a mess. I normally do suggest no clothes out, maybe add some bright colored towels folded and make sure it is clean. Simple staging tricks, but rarely do I recommend a makeover. This got me thinking so I had a conversation with some, friends, co-workers, etc and asked them what they thought about the importance of a pretty laundry room. The consensus from all was I would love one, might even inspire me to keep my laundry up. Of course there was one in the crowd that whipped out her phone to show me her beautiful organized laundry room, she had recently did herself. I was impressed! 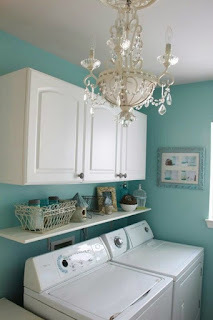 After the conversations and remembering as I preview new homes, I always say, I wish my laundry room could look like this.. And with that I created a to do list to improve my laundry room. 1. Paint: Turn that drab egg shell white into some color. Paint the entire room or simply a accent wall. 2. Organize: Whether you have cabinets or not, add some visual organization aspects, such as baskets. 3. Need Space: Add shelving above the new front loaders, great for a folding space. If you have a traditional top loader, add a shelf to the back above the switches. Add wire racks, a bar for hanging clothes. 4. Signage: Make it fun! Lot's of choices here but simply adding a stencil, print or a sign will perk up the atmosphere. 5. 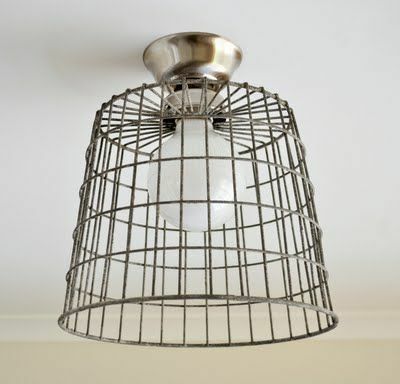 Lighting: Add a light fixture vs. the standard over head light. There is plenty of inspiration out in Internet land or on TV. Pop into a a new home development. After all that is why people like to look at new homes, for all those design inspirations, right! As a home seller you will want to keep these tips handy. Laundry rooms make a big impact on the buyers walking through your home, but are often over looked and for a few dollars you could really wow your potential buyers. Ps.. you can even do these simple changes when your laundry is in your garage! Are you looking for other home tips on the how to add value to your home before you sell. Contact Kelly for our special report: Preparing Your Home for Sale. Also make sure to follow our inspiration board on Pinterest for some great ideas.